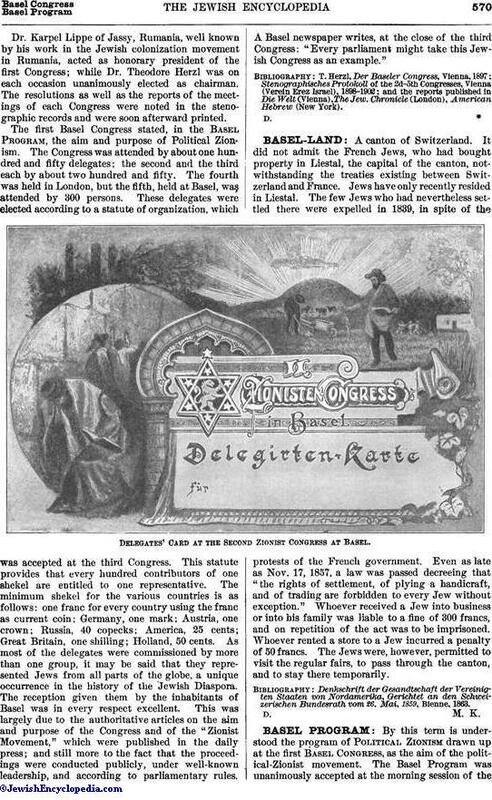 An international Zionist convention held at Basel on Aug. 29, 30, and 31, 1897, in the Stadt Casino, and which was called at the instance of Dr. Theodore Herzl. It was attended by Jews from all parts of the world, its purpose being to consider how best to relieve the misery of the Jews, particularly those of eastern Europe, Russia, Rumania, and Galicia, who had suffered so much, both morally and materially, through the anti-Semitic movement. The second Basel Congress met Aug. 28-31, 1898; the third, Aug. 15-18, 1899. The fourth Congress was transferred to London, where it took place on Aug. 13-16, 1900; the fifth was again held at Basel, Dec. 29-30, 1901. Meeting of the Second Zionist Congress at Basel. Dr. Karpel Lippe of Jassy, Rumania, well known by his work in the Jewish colonization movement in Rumania, acted as honorary president of the first Congress; while Dr. Theodore Herzl was on each occasion unanimously elected as chairman. The resolutions as well as the reports of the meetings of each Congress were noted in the stenographic records and were soon afterward printed. 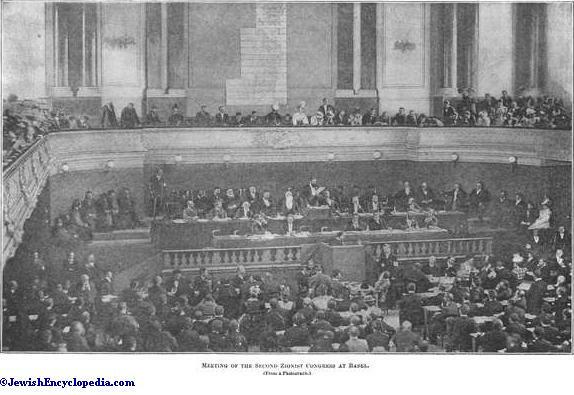 The first Basel Congress stated, in the Basel Program, the aim and purpose of Political Zionism. The Congress was attended by about one hundred and fifty delegates; the second and the third each by about two hundred and fifty. The fourth was held in London, but the fifth, held at Basel, was attended by 300 persons. These delegates were elected according to a statute of organization, which was accepted at the third Congress. This statute provides that every hundred contributors of one shekel are entitled to one representative. The minimum shekel for the various countries is as follows: one franc for every country using the franc as current coin; Germany, one mark; Austria, one crown; Russia, 40 copecks; America, 25 cents; Great Britain, one shilling; Holland, 50 cents. As most of the delegates were commissioned by more than one group, it may be said that they represented Jews from all parts of the globe, a unique occurrence in the history of the Jewish Diaspora. The reception given them by the inhabitants of Basel was in every respect excellent. 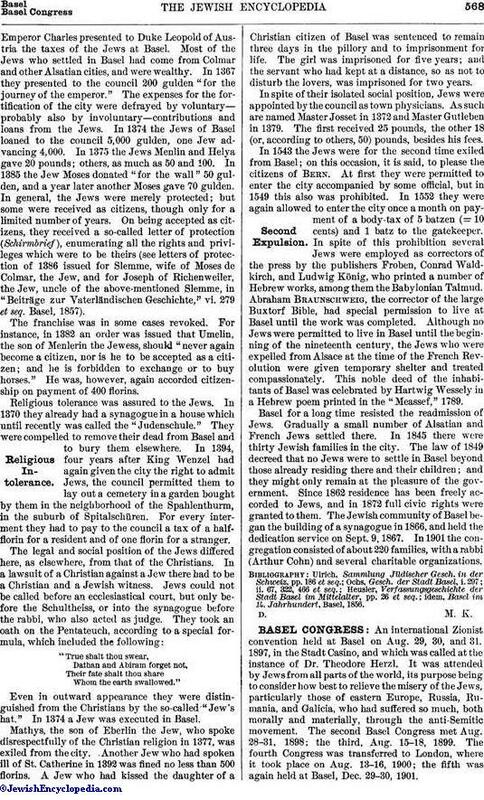 This was largely due to the authoritative articles on the aim and purpose of the Congress and of the "Zionist Movement," which were published in the daily press; and still more to the fact that the proceedings were conducted publicly, under well-known leadership, and according to parliamentary rules. 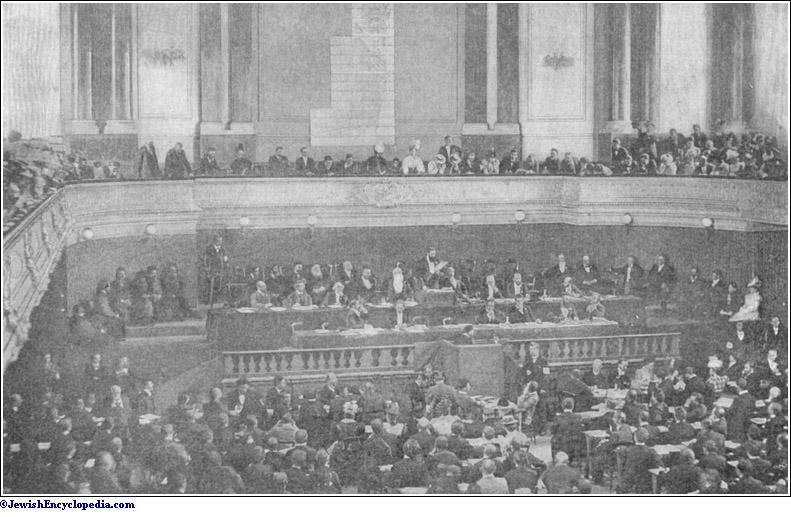 A Basel newspaper writes, at the close of the third Congress: "Every parliament might take this Jewish Congress as an example." and the reports published in Die Welt (Vienna), The Jew. Chronicle (London), American Hebrew (New York).